Six Types of Toughness: Are You Tough Enough? 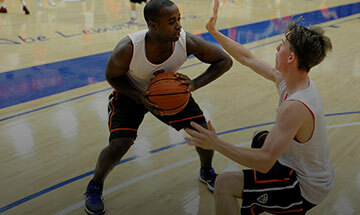 Championship players are continually focused on the areas of their game they can control. They aren’t focused on a referee’s poor call or a teammate’s mistake. These players know they can only control their own effort, enthusiasm, and attention to detail. They keep focus on those areas of their game rather than on other external factors. Are you mentally tough enough to fight through the usual excuses; including fatigue, boredom, and blaming others? See Steve Nash. Nash’s face has been bloodied and beaten up over the years, and he has a constant back injury. That must all be very painful; however, it hasn’t stopped him from participating in many games and practices with his teammates. Are you tough enough to play through a minor amount of pain, so long as no further or more damaging injury could arise? Point guards are always communicating; providing verbal instruction and encouragement to their teammates on the court, in the weight-room, and even on road trips. A great point guard communicates clearly, concisely, with consistent enthusiasm, and the appropriate tone. Are you tough enough to provide on-going and non-stop communication with your teammates on an everyday and every-drill basis? The best guards invite and welcome contact. Basketball IS a contact sport. On the offensive end, you have to connect with the 1st punch. On the defensive end, you have to make the offensive team uncomfortable with your defensive presence. Are you tough enough to not allow a bump on the hip or slap on the wrist from finishing a strong, powerful dribble move to the basket? Psychologists say that over 90% of what we communicate is non-verbal. However, few players are aware that (based on how they stand and position their bodies), their actions and words often are incongruent. Are you tough enough to act present and engaged in every moment of your life, both on the court and off? Successful people in life have a resilient desire for improvement in every aspect of their life. With improvement comes change, and with change comes the discomfort of the unknown. Special players welcome that awkwardness, knowing improvement is on the horizon. Are you tough enough to face some temporary inconvenience for the end goal of permanent improvement?